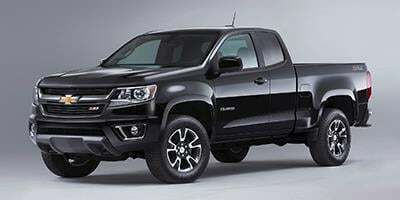 Be the first to review this 2019 Chevrolet Colorado. A 100th Anniversary Edition painted Centennial Blue is available for the 2019 model year, offered on extended-cab Z71 trucks. Centennial features include “heritage bowtie” emblems, chrome tow hooks, and distinctive 18-inch wheels. Active Tow is newly standard with the 3.6-liter V-6 or turbodiesel engine. Heated mirrors are now available, and a pair of new body colors are offered: Kinetic Blue and Steel Gray Metallic. The Colorado shares its platform, body styles, and powertrains with the GMC Canyon. Although the Canyon is styled a bit more businesslike, its configurations are less versatile than Chevrolet offers. Colorados come in either extended-cab or Crew Cab form, the latter with four conventional doors. Depending on cab type, three cargo bed lengths are available. A 200-horsepower, 2.5-liter 4-cylinder engine is standard, but most Colorados contain the 3.6-liter V-6, yielding 308 horsepower and 275 pound-feet of torque. A 2.8-liter turbodiesel inline-4 also is available, delivering immense torque and impressive highway mileage. Those 4-cylinder models may have a manual or automatic transmission, but the V-6 pairs only with an 8-speed automatic. With the turbodiesel, a Colorado can haul up to 7,700 pounds, versus 7,000 pounds for V-6 versions. Rear-wheel drive is standard, with four-wheel drive optional. With its wider stance, raised suspension, and big all-terrain tires, the ZR2 qualifies as a serious off-road trekker. Such active-safety features as forward-collision and lane-departure warnings are available only for LT trim and above. No Colorado is fitted with automatic emergency braking. That’s a notable demerit. Safety scores fall short. Crash-testing by the National Highway Traffic Safety Administration resulted in four-star ratings overall and for frontal impact, though the side-impact test resulted in five stars. The rollover score (a calculated figure) was only three stars.